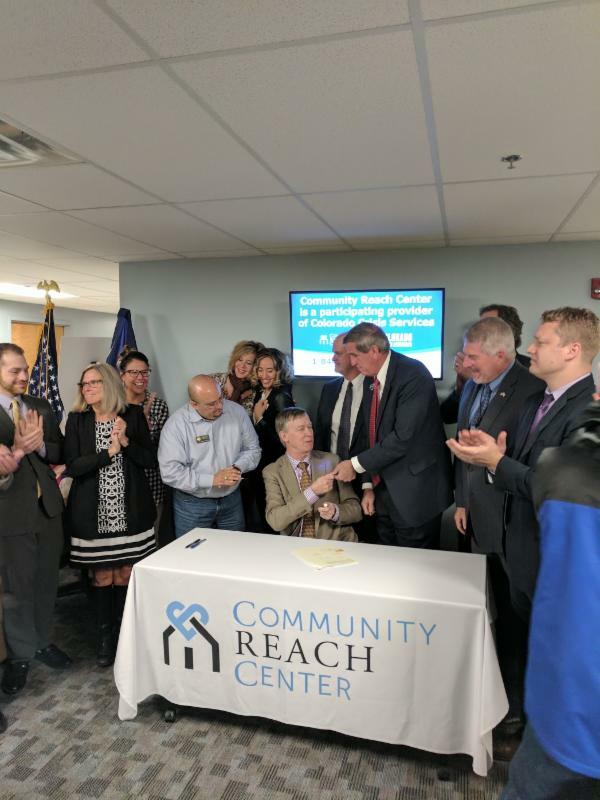 DENVER—Today, Senator John Cooke’s (R-Greeley) bill to strengthen and increase support for the Colorado behavioral health crisis system was signed into law by the governor. Senate Bill 17-207 will finally end the practice of holding individuals having mental health crises in jails. In 2016, a similar bill aimed to limit the use of 72-hour mental health holds passed both chambers with broad bipartisan support, but was vetoed by the governor. SB 207 reforms and improves our current crisis system by strengthening the standards, resources, and preparedness of walk-in centers. It also recognizes the obligation of Colorado health facilities to stabilize any person experiencing a mental health crisis, and expands capabilities of mobile response units. Current state law allows health facilities that have reached bed capacity to turn away individuals experiencing a mental health crisis. Procedure requires local law enforcement to then detain those individuals for the duration of their mental health crisis. SB 207 ensures that we will no longer carry out the psychologically damaging process of holding individuals with mental health issues in jails. With more health crisis centers and resources available, patients will be able to get the care they need in proper facilities, without placing an undue burden upon law enforcement who often lack the resources to adequately accommodate these mental health concerns. The bill takes effect on August 9, 2017.